Full disclosure. I wrote this headline before my visit to a JD distribution center. And upon arriving, it was clear that me helping would just slow everyone down. So I stepped aside. This article should probably be titled [6 Things I Learned Hanging Out with JD Delivery Guys." A few weeks ago, I visited a JD distribution center in west Beijing. It was a small facility consisting of a storefront, a bunch of delivery karts lined up outside and space for trucks to pull up. As I showed up, the distribution center staff and the JD delivery drivers were already there waiting for trucks to come for the afternoon sort. They do three sorts per day and this was the last of the day. Over the next couple hours, I basically observed, asked a bunch questions and tried to stay out of the way. Here's what I learned. Lesson 6: Grocery distribution (and cold chain) doesn`t seem to be a big challenge. Last year, groceries were a big new frontier for Chinese e-commerce. JD and Alibaba both moved into it in a major way. One of my questions was how much of a problem was it going to be in terms of logistics? Could JD use the same infrastructure it had been building for almost a decade? Moving fresh seafood and fruits does seem different than moving laptops and dishwashers. However, the center I was at was for small and medium items (large items go direct from warehouse to customer) and lots of grocery items were coming through the center. In the trucks and karts, there were special boxes that could contain food items and keep them cold and fresh. And given the rapid delivery of JD (order by 11am get the item that day, order by 11pm and get it the next day), that apparently is enough for most food items to stay fresh. It looks like a lot of JD`s food and grocery distribution is being handled by the Small and Medium Package division. And it doesn`t seem to be much of a problem. Note: this center delivers to a radius of about 5km, which is a bit larger than distribution centers deeper in the city. That struck me as interesting because a lot of the talk around [new retail" (or boundaryless) supermarkets is how they can also function as logistics hubs. And most cite a 2-3 km radius for delivery. Lesson 5: The JD team dress well and have nice delivery vehicles - and this is important. Take a look at how nice the JD karts are. And how well dressed the delivery team is. Now next time you`re on the street look at some of the others delivery vehicles. One of the reasons bike-sharing took off was because the brightly colored bikes were a particularly powerful form of marketing. You saw thousands of them every day. Appearance matters. And the JD delivery people (and their karts) are probably the most visible part of the company in the physical world. And JD looks pretty good on the streets. Lesson 4: The point of delivery is probably the largest remaining inefficiency in the system. It was pretty amazing to watch the trucks come in. The team rapidly unloads the packages, scans and sorts them and then gets them on the right delivery karts, which then take off. Everything happens fast. If there are inefficiencies in the system, it`s not at the distribution centers. It seems that the biggest remaining issue is the actual point of actual delivery. Do you leave the package with the doorman? What if nobody is home? Do you take it back to the distribution center? And this is where the new [trunk delivery" (i.e., they leave the package in your car), smart kiosks (basically lockers outside your apt) and home delivery are going to make a difference. These new systems focused on the point of delivery should be fun to watch. Personally, I am totally comfortable with JD delivery folk entering my place and putting items right in my drawers and kitchen. That would basically make my home like a hotel. In a hotel, I don`t know how the Coke in the fridge gets replaced after I drink it. But it does. And I just get a bill. That`s pretty much my dream. Lesson 3: Speed of delivery across China is a big competitive barrier. If two online retailers both offer the same product (say a Huawei phone) at the same price, but one can deliver in 2-3 days and the other the same day (or the next morning), consumers usually go for the faster delivery. Why not? But it doesn`t feel like a massive distinction between when buying. However, behind the scenes it is a big deal. JD offers 11-11 delivery to a massive geography. Order by 11 in the morning and get it that day. Order by 11 at night and get it the next morning. To actually fulfill that promise requires a huge operational footprint. As I watched hundreds of packages move quickly through the distribution center, I was thinking about this same process was happening in thousands of similar centers across China. And that this process happens three times every day. Guaranteeing rapid delivery across Mainland China is a massive operation. It`s really impressive. And if you`re an online retailer trying to replicate that (and match JD) in terms of speed and reach of delivery, good luck with that. I am also starting to think that this sort of rapid, flexible delivery is a unique China advantage. The delivery people racing around on their karts creates a really flexible system. They can stop almost anywhere. Compare that to doing package deliveries in San Francisco or New York, where there are only cars and trucks (no karts and scooters). And there are pretty rigid rules for parking. Delivery in China is fast and flexible. And we can see this in e-commerce, food delivery, bike-sharing and other services. Lesson 2: You can`t be a quality online retailer without quality delivery. JD has an [asset heavy" business model, when compared with other e-commerce companies. They own their own warehouses and have their own in-house delivery service. That is an interesting approach and it follows from their focus on quality. From literally day one of operations, JD has positioned itself as a quality alternative to much of China retail. Even when JD was just a booth in Zhongguancun selling computers and other parts, they didn`t sell fakes. They didn`t haggle. They were the shop that guaranteed quality. As JD moved online and grew across China (and now internationally), they have kept their customer-first and quality-focused strategy. And while lots of companies say this, that kind of commitment is actually pretty hard to maintain. It can be really expensive. If you are going to be known for [quality", that plays out in several places. It means fewer items offered. It means guaranteed quality (i.e., no fakes and easy returns). It means fewer merchants in your marketplace. It means you have to provide good customer service. And it means you have to provide really good delivery. Because ultimately, your customer only interacts with you at three points: online, customer service and delivery. So you have to give CEO Richard Liu credit. Everyone says they are quality-focused but he really put his money where his mouth is. A decade ago when it became clear that their biggest source of customer complaints was in delivery, he brought the entire process in-house and spent a staggering amount of money building out a national infrastructure for logistics and delivery. This commitment to quality (and other things) took JD from a company with +10,000 employees to one with +150,000 people. And most of that growth has been in logistics and delivery. Lesson 1: The JD delivery folk are awesome - and this is really important. Approximately 18 people work at this distribution center. They staff the center and the drivers fan outward in their karts to deliver to their assigned neighborhoods. And as there are three sorts per day, they all come back to the center three times a day to reload. And to chat and hang out a bit. And they`re just really good guys (this center was all men, but there are women at other centers). They are super friendly. They are fun to hang out with. And they look like they`re having fun, chatting with each other while they move the packages. This speaks to one of the most important questions about the power of platforms businesses. How they can both enable and exploit. There was a recent article in the Atlantic (here) about how hard it was to be a delivery driver for Amazon Flex in the USA. You sign up as an independent contractor and use your own car. The pay is apparently low. Delivering downtown is a difficult because you have to find parking. More and more, there are serious questions being raised about the increasing number of people working on platforms. And how this can be a great thing and a bad thing, depending on the situation. But JD employs its own delivery people and they are not paid per package delivered. And watching them chat and laugh was nice to see. I`m sure there are issues (there are for every type of employment) but this appears to be a really good model for delivery. A special thanks to Ella Kidron of JD. She was kind enough to let me come along with her visit to the distribution center. Also, please sign up at www.jefftowson.com for my monthly recommended China reading email. Plus, you also get a free chapter of my One Hour China Book and other stuff. 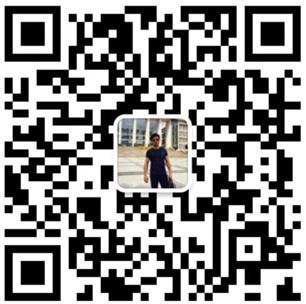 I Took 20 Chinese Students to Meet Warren Buffett. Here's What Happened. Stop Calling Me an Introvert. I Prefer "Power Thinker"
About: I am a Professor of Investment at Peking University Guanghua School of Management in Beijing. I am also an investor, speaker and former executive / slave to Prince Alwaleed.